When should I get a tune up? There’s no one size fits all answer to this. Checking your owner’s manual is a good place to start. The manufacturer will most likely suggest how often a tune-up should be performed on your specific vehicle. Generally, an auto tune up is done at 30k, 60k and 90k miles. If your gas mileage is dropping, your vehicle doesn’t want to start like it used to or you feel a jeering when you shift these are all signs your car is craving a tune-up. The mechanics at Ron’s Auto and RV can help you decide a schedule that works best for you and your vehicle. Why is a tune up important? 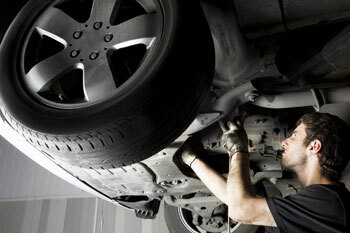 Having regular tune-ups on your vehicle can save you money in the long run. A well-tuned car gets better fuel economy, improves engine performance and ensures your vehicle runs better overall. It’s important to have quality parts and knowledgeable people to perform a tune up on your vehicle. Here at Ron’s Auto and RV our mechanics are trained to ensure your vehicle receives the best possible care. This isn’t your Grandpa’s tune up. There’s a common misconception that cars today don’t need tune-ups. While it’s true that the tune-ups today are quite different from those of the past, they are still essential. While cars now have computers instead of mechanical ignition systems, they still require maintenance. A tune up now days will involve inspecting your car, checking belts, spark plugs, flushing liquids, testing your battery, checking your tires, checking your brakes and much more. Give Ron’s Auto and RV a call today to see if your car might be in need of a tune up.